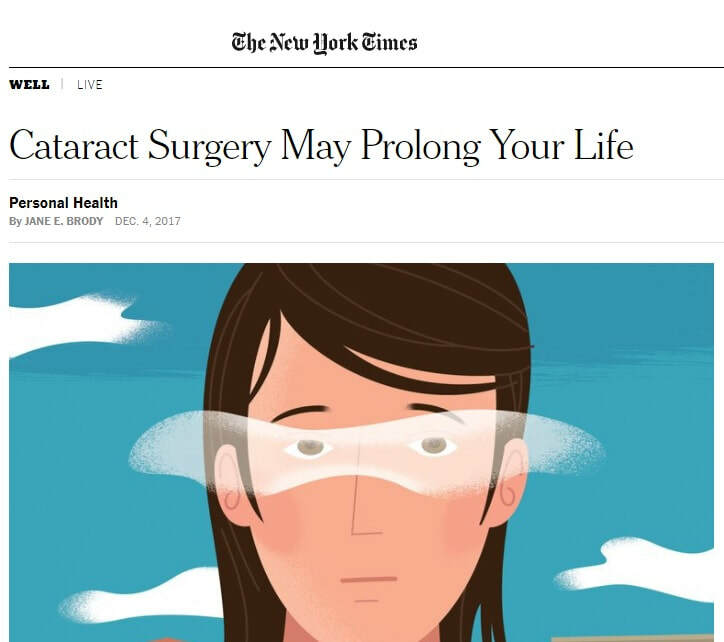 Here's a great article on the benefits of cataract surgery by the New York Times! Here at San Bernardino Eye Specialists, our ophthalmologist is trained in the most up to date techniques in cataract surgery! Diabetes can affect the eyes that can cause permanent loss of vision and blindness. Diabetic retinopathy is the most common cause of vision loss in people with diabetes. The beginning stages of diabetic eye disease is usually unnoticed by most patients so regular check-ups are important and should be performed at least once a year. Diabetes damages the small blood vessels of the eyes and can cause small bleeding in the eye (hemorrhages). It can also lead blood vessels to leak fluid (edema) and fat (hard exduates) in the retina (the retina is the tissue in the back of the eye that receives and processes the light that we see). When fluid and fat forms in the macula (the macula is the part of the retina that processes our central vision), there is vision loss and distortion which can be permanent. Fluid build up in the macula (macular edema) can be treated with injections in the eye with a special medicine (Anti-VEGF, ie Avastin) or laser treatment. ​Long term damage to the blood vessels in the eye can cause a lack of oxygen to be delivered to the eye (ischemia) which can also cause permanent vision loss. Ischemia can also lead to new blood vessel growth in the eye (neovascularization). However, these new vessels are abnormal and can cause bleeding inside the eye (vitreous hemorrhage), glaucoma (elevated pressure in the eye causing nerve damage), and retinal detachment (when the retina comes off the back of the eye). Treatment of these abnormal vessels include injections with Anti-VEGF medications, laser, and surgery. Finally, diabetes can accelerate cataracts in the eye. Cataracts are when the lens inside the eye becomes cloudy, causing glare and decreased vision. Cataracts can be cured with cataract surgery. The image on the right is a normal photo of the back of the eye. The image on the left is a photo that has diabetic retinopathy. This is an OCT (Optical Coherence Tomography), a scan that looks at that retina and macula that helps detect diabetic retinopathy. Glaucoma is a scary word that many people have heard of but not sure what it actually is. So what is it? The nerve of the eye connects the eye to the brain and glaucoma is a type of disease that affects the nerve of the eye. With glaucoma, the nerve becomes damaged and you start to lose you vision, usually slowly over time. Peripheral vision is lost first and most people do not notice it because we rely on our central vision. As it progresses, central vision becomes affected and that is when most patients notice something is wrong. Unfortunately, glaucoma is irreversible but with early detection and treatment, vision loss can be slowed and even stopped. What can we do to treat glaucoma? Treatment is directed at one component, the intraocular pressure or the pressure inside the eye. Multiple studies have shown that by lowering the pressure, glaucoma damage can be slowed or halted. We start with intraocular pressure lowering eye drops or a painless laser procedure. If that does not lower the intraocular pressure enough, pills such as acetazolamide can be implemented. The last line of defense are a multitude of different types of surgical options, the two most popular ones being trabeculectomy and tube shunts. So what can you do to protect yourself against this blinding disease? The most important thing is to get checked at your local optometrist or ophthalmologist! The image on the left is a visual field of a patient with advanced glaucoma. The dark spots are the area of peripheral vision that they have lost. The visual field on the right is what a normal visual field should look like.